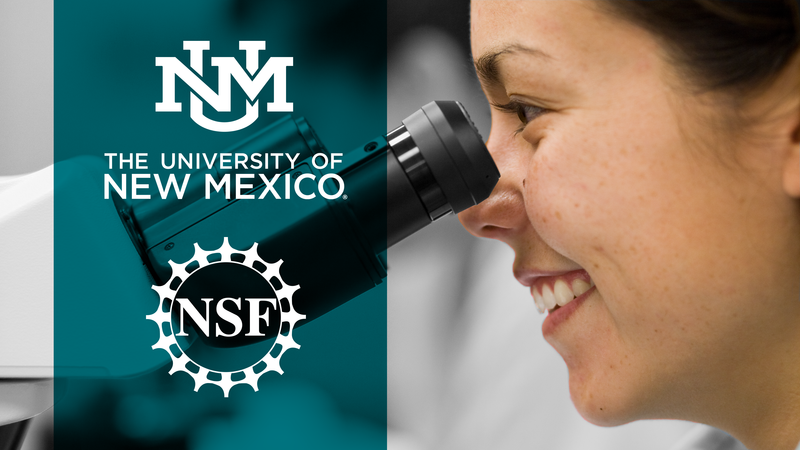 Four students from the Department of Chemical and Biological Engineering were among nine students from The University of New Mexico to be selected to receive National Science Foundation Graduate Research Fellowships for 2018. Fellows receive a three-year annual stipend, including a cost-of-education allowance, which gives them the chance to conduct their own research at any accredited U.S. institution. The program also provides an opportunity for international research, as well as professional development. "My heartiest congratulations to our new NSF Graduate Research Fellows," said UNM Vice President Gabriel Lopez. "Members of this excellent cohort of fine scientists and engineers have each achieved prestigious and highly competitive recognition for excellence in research and scholarship. The impressive group highlights the very high caliber of undergraduate research experiences available at UNM. I look forward to following their carrier advancement and learning of their future discoveries and innovations." The new awardees were selected from more than 12,000 applicants and come from all 50 U.S. states, as well as the District of Columbia and U.S. territories. Honorable mention recognition went to 1,459 individuals, including one CBE student, Chris Torres.